Jofra Archer played a key role as Hobart Hurricanes beat Brisbane Heat. 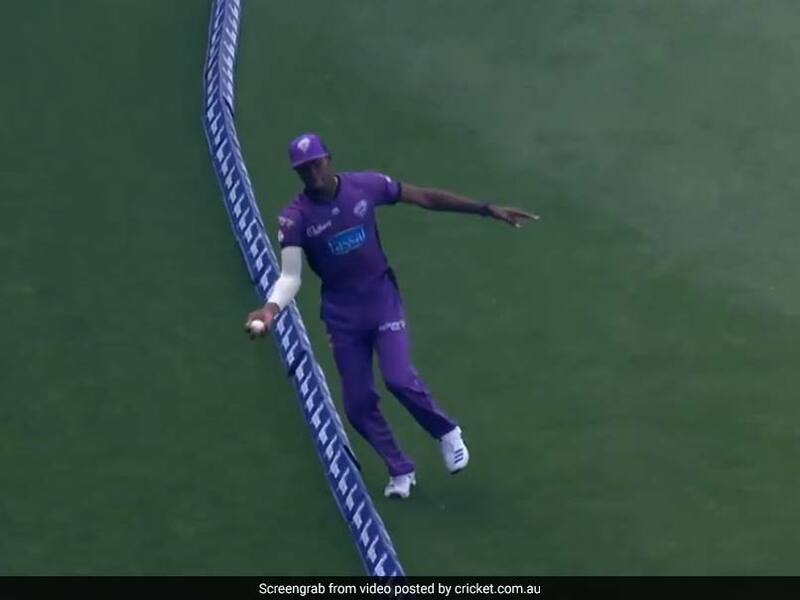 Jofra Archer grabbed a remarkable catch near the boundary rope during a Big Bash League match between Hobart Hurricanes and Brisbane Heat on Tuesday. The 23-year-old bowling all-rounder displayed tremendous fitness and took a stunning catch to remove Max Bryant for seven. It was a full length delivery by James Faulkner and Bryant smashed it over the long-on for a six. But Jofra Archer outstretched his right hand and lobed the ball back as he was flying across the boundary line and came back quickly to complete the catch. Archer later impressed with the ball and claimed two big wickets in Chris Lynn (10) and Matt Renshaw (0). Alex Ross and Jimmy Peirson scored half-centuries as Brisbane Heat managed to score 145 for six in their allotted 20 overs. Hobart Hurricanes, who elected to bowl, chased down the target in 14.2 overs with nine wickets in hand. D'Arcy Short top-scored for Hurricanes with 68 runs (not out), while Caleb Jewell contributed with 61 runs off 38 balls. The pair stitched an unbeaten 132-run stand to steer Hobart Hurricanes to a comprehensive nine-wicket win at their home ground. Wicketkeeper-batsman Matthew Wade lost his wicket for 12 runs to Ben Cutting in the second over while chasing the small total. The BBL has witnessed some top cricketers delighting cricket fans with such remarkable catches from time and again. Earlier this month, all-rounder Ben Cutting suffered a nasty blow to his face while attempting a catch during a BBL match against Melbourne Renegades. 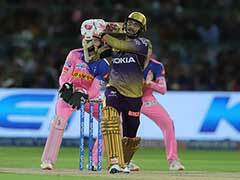 The 31-year-old all-rounder, however, recovered quickly to return to the field.